According to a new survey commissioned by the World Bank, lesbians in many countries earn more than their straight counterparts. Really? Lesbians in many countries earn more, says a new report from the World Bank and think-tank IZA World of Labor. 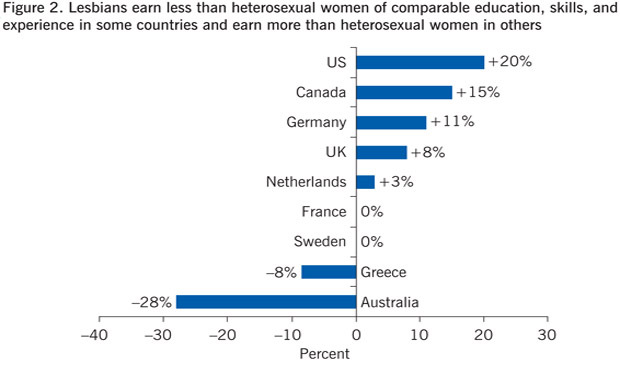 In the UK the lesbian pay premium is 8% over straight women of comparable age and education. That may seem like a lot, but it’s nothing in comparison with Germany (11%), Canada (15%) or the USA (a whopping 20%). So ‘Go West young (LGBT) woman’ seems like good advice even in the 21st Century. The average earnings premium for lesbians reported is 12%. But it’s not all good news - two places NOT to go, despite obvious climatic advantages, are Greece, where lesbian employees earn 8% less than straight women, and Australia where the discount is a hefty 28%. Ouch. The picture painted by the report’s author Nick Drydakis, a senior lecturer at Anglia Ruskin University is less rosy, however, if you are a gay man in Britain - or anywhere else for that matter. 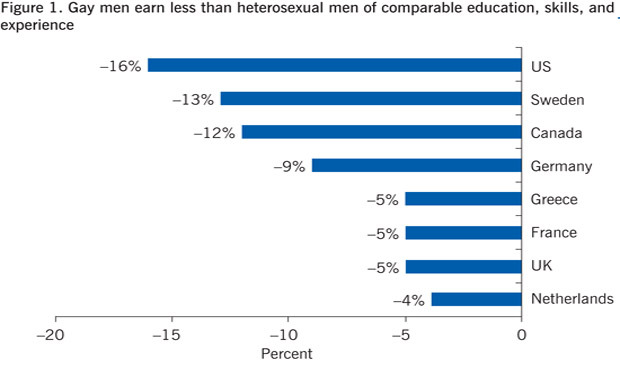 Gay men earn consistently less than their straight male colleagues, the discount varying from 4% in The Netherlands and 5% in the UK to 13% in Canada and 16% in the USA. The only good news there is that at least in the UK the gap is smaller than in most other countries. The survey - a piece of desk research referencing 13 previously published studies (including no fewer than three by Drydakis himself) - also finds that gay and lesbian employees overall report lower levels of job satisfaction than straight colleagues, although those who are out at work tend to be more satisfied with their jobs than those who are not. No word on bisexual employees. He also speculated that because workplaces tend to value stereotypical ‘male’ qualities, and that lesbian women are more likely to be viewed as possessing said qualities than either straight women or gay men, the inbuilt pro-male bias of employers may work in lesbians’ favour. Hmm. It’s an interesting thought - and he has come up with some provocative findings - but it seems to us that there is more work to do to get to the heart of this. 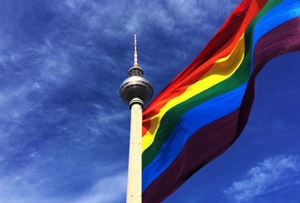 In the meantime, it’s worth remembering that fewer than 20% of countries have sexual anti-discrimination laws in place, and that some 2.7 billion people live in places where being homosexual is still a crime.